For more information on a clock click on the link. It has a value in the sense that it would probably sell on eBay. I don’t normally provide estimates. 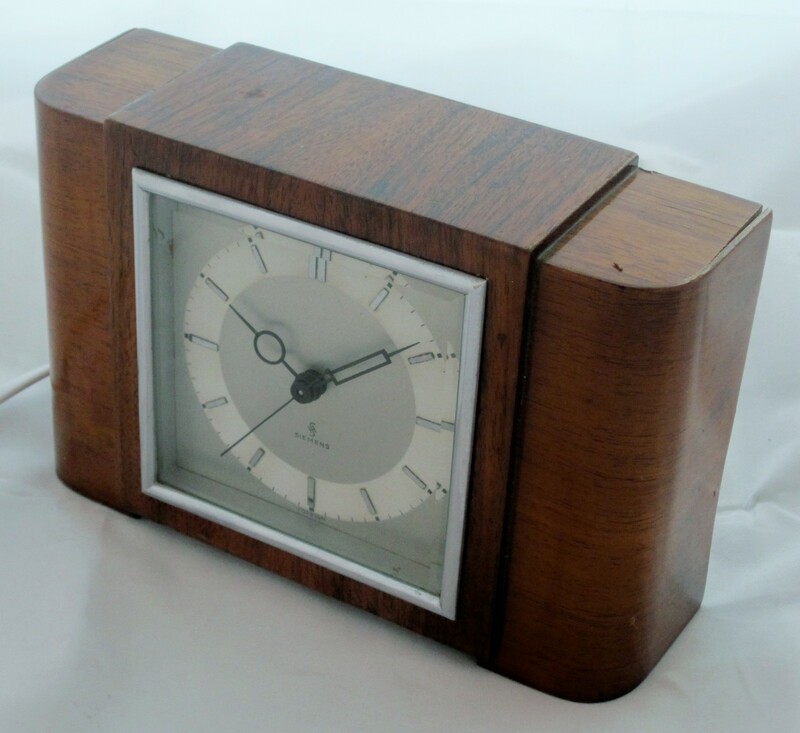 The best way to get a feel for value is to look at prices achieved for mantel clocks on eBay. 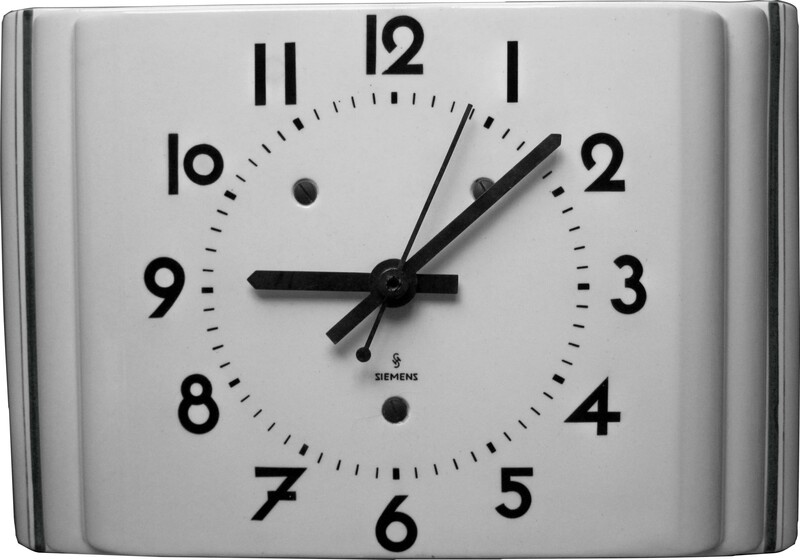 Are you able to source a Siemens Syncronous Wall clock as per S 121 above? I had one (my Grandmother’s) and it fell off the wall and shattered – I’m having difficulty locating a replacement. I think they are rare. I’ve only seen two listed on eBay. The first I bought. The second was a few weeks ago but is wasn’t in working order. I’ve just restored a Siemens mantel clock almost identical to the one you show, though mine has a gold-painted bezel and golden dial with Arabic numerals. It runs silently and the coil stays cool in spite of it being rated for maximum 220V~ input. Interesting to see that the metal saddle cord grip on mine is original, as I thought it had probably been added by the previous owner who’d replaced the mains lead. The hand set on mine has to be pulled out for its pinion to engage with the wheel it acts on. It’s not spring-loaded but feels like it should be. Is yours? And do you know what the little friction-fit brass split clips are called which are used to retain the first wheel etc. on their posts? I’ve never encountered them but they seem effective and easy to remove and replace. The hand set on my clock is the same as on yours. I call the split clips ‘retaining clips’. I have never come across a horological name for them. Many thanks, Les, keep up the interesting work.